We let our customers do the speaking for us. 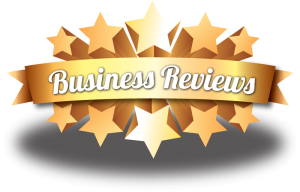 List of Reviews and Testimonials by our customer in Michigan. We had them clean our carpets that were very heavily stained (we have 3 kids under the age of 5). We had tried other carpet cleaners - ones we rented from Lowe's and nothing had worked. We thought we'd try to clean them one more time to see if it'd work, and if they didn't we'd get the carpets replaced - that's how dirty they were. Our carpets looked like brand new when Elite cleaned them! My husband was so happy (and me too)! I would recommend them to anyone. Elite did my carpets at 1719 Graefield. The job was done promptly, efficiently and very reasonably. I would recommend this company to all my friends. Shane is always professional and on time (10-15 minutes early). I have two children under 2. Needless to say I always have little stains all over the house. When Shane is done there is not trace of little people stains in my house (lol). I feel safe knowing that my 6 month old is crawling on the floors that he cleans. He even goes the extra mile and prepares a stain remover solution to help me keep the carpet clean inbetween cleanings. Thanks Shane.. you are the BEST of the BEST!! I called I called elite carpet cleaning because I wanted the owner to come out himself and do the cleaning. I was tired of having kids show up to my door and do a slppy job. My neighbor informed me that this company the owmer shows up on the job, and makes sure its done wright the first time. Just like my neighbor said the owner showed up at my door with an assisant. He was very professional, asked a number of questions about my carpet. He explained the process that was to be performed on my carpeting. The carpets looked and smelled clean. The owner closed up with an over view of the cleaning and future recommendations for spotting in the future. This is what I call service and with a smile too. I called I called elite carpet cleaning because I wanted the owner to come out himself and do the cleaning. I was tired of having kids show up to my door and do a slppy job. My neighbor informed me that this company the owner shows up on the job, and makes sure its done wright the first time. Just like my neighbor said the owner showed up at my door with an assailant. He was very professional, asked a number of questions about my carpet. He explained the process that was to be performed on my carpeting. The carpets looked and smelled clean. The owner closed up with an over view of the cleaning and future recommendations for spotting in the future. This is what I call service and with a smile too.